Peter Murdoch is a graduate of the Therapeutic Recreation Post Graduate Program from Georgian College. He also acquired with a double major in Sociology/Anthropology and Music from the University of Guelph. While beginning his professional career as a Child Protection Social worker on Vancouver Island, B.C. he also fell in love with the sport of fly fishing and outdoor recreation in general. He has been a professional fishing guide on Great Bear Lake, NWT and has been providing guiding and fly fishing instruction locally for over 15 years. 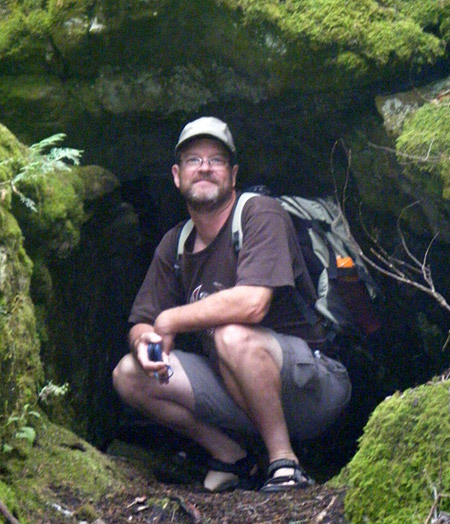 During the last four years of his 14 years as a Child and Youth Worker Peter worked in a Therapeutic Wilderness program for four seasons, working with troubled youth in an outdoor environment to help bring about change. Peter has enjoyed introducing clients to his many hobbies over the years such as piano and saxophone, woodworking, wood carving, sports, fly tying, fly fishing and hiking and camping. 14 years as Child & Youth Worker, Craigwood Youth Services, London On. Wilderness First Responder First Aid Course. Member of OACCPP ( The Ontario Association of , Consultants,Counsellors Psychometrists and Psychotherapists).